If you want your kid to be happy on Christmas morning with the popular toy in their hands that they nagged you for months about, you'd better start shopping now. Of the 16 toys on last year's top most wanted list by TimetoPlayMag.com, 14 had sold out two weeks before Christmas, according to Jim Silver, editor-in-chief of the now 2-year-old website. "Our advice is 'Shop early and shop late,'" Silver told WalletPop. In other words, shop now for the hottest toys before they're out of stock, and shop in the last week or so before Christmas for bargains.With the help of TimetoPlayMag.com and its list of the 16 most wanted toys for 2010, and the help of other toy experts, WalletPop came up with its own list of the 10 hottest toys this holiday season. 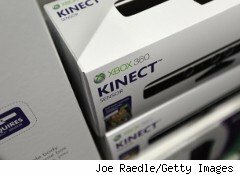 The toys on our list are for children, although a few such as the Xbox 360 Kinect, are popular with kids and adults. If you want a list of "sleeper" toys, we wrote about that last week. Some of these toys are on the list put out by the Toy Industry Association on Monday, Nov. 22, in its 11th annual Toy of the Year Awards. Consumers can vote for their picks through mid-January, with winners announced on Feb. 12. These gumball machine-like toys, which toy website zooLert tracks prices for, are to Christmas 2010 what Zhu Zhu Pets were to Christmas 2009, says Ed Crotty, co-founder of zooLert. Aimed at girls 4-years-old and up, Squinkies are heavily marketed by blogging moms who give them away at house parties and review them online. They're also advertised on TV, which is where the most popular toys gain steam. "It's what people see on TV," Crotty said of 60% to 70% of hot toys that get that way because of TV ads. "The advertisements really start ramping up in September." 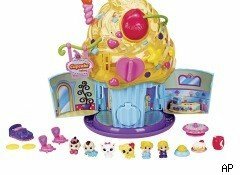 The small Squinkies may get underfoot at home, but their cuteness should put them atop any little girl's wishlist. 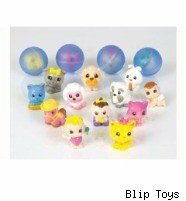 Many stores are out of stock of these popular toys, which range in price but can usually be found for around $7. This interactive game for the family is hard to find, but worth looking for it you can afford one. The motion sensor device is $150 if you already have an Xbox 360. It's like the Nintendo Wii, but without the controller. Your body is the controller. 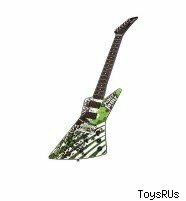 You have to see it in action to appreciate how fun it is, so look for a store that has a sample model running so you can try it out before putting down that amount of cash. For girls 6-years-old and up, these dolls from Mattel are building on the popularity of monsters and vampires. The Monster High dolls are the daughters of famous monsters -- the antithesis of Barbie Doll -- and are "flying out the door" at Meijer stores, said David Stickney, merchandise manager for toys and sporting goods at Meijer. Their popularity started virally with webisodes that older girls would show to their younger sisters, Stickney said. They can be found at every major retailer, and stocks look to be replenished fast. Even older girls are coming back to these fashion dolls and their accessories. 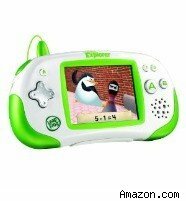 For children 4-8, this latest hand-held game system from LeapFrog is a sort of an "educational GameBoy," as Silver put it. Of the more than 10,000 toys that TimetoPlayMag reviewed, the Explorer was among the top with what TimetoPlayMag called "significantly-increased hardware features and functionality, complemented by outstanding content that's the richest and most engaging ever. Add to this a user-friendly online interface, and Leapster truly comes of age." Most big retailers have it in stock, according to zooLert. 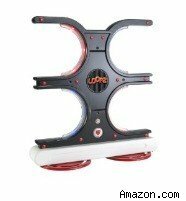 For ages 7 and up, Loopz is a memory game like Simon and Bop-It combined. Lights and sounds create a pattern that players must mimic in the correct pattern. It's a great party game, and as TimetoPlayMag says, looks great on a coffee table as an invitation to play. The zooLert tracker has it in stock at most retailers. It's normally found at around $24, but at $20 it's too good of a deal to pass up. As TimetoPlayMag points out, this is a toy that is so sophisticated that it could not have even been made five years ago for $24. The paper guitars without guitar strings are aimed at children 5-years and older, and lets them play to programmed songs or create their own. It's one of the toys that tested well on kids at the New York Toy Fair, said Meijer's Stickney, adding that the toy fair is where popular toys are first marketed. "A lot of the big toys, they're planned to be big toys," he said. "There's a lot of science behind Paper Jamz, but at the end of the day it still has to be a fun toy," Stickney said. Recommended for boys 8-years and older, although we can't see why a girl wouldn't want one, this is what TimetoPlayMag calls the best Nerf Blaster ever. 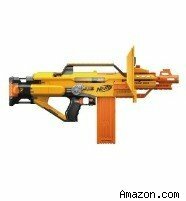 "Outrageous firepower, easy reload and an interchangeable magazine for the soft, safe Nerf darts." Be the king of the playground while shooting your friends. The toy is often out of stock, so you may need to search around. 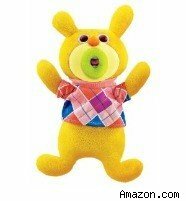 These cute little toys that sing and talk are meant for boys and girls ages 3 and up, and sound a little like Alvin and the Chipmunks. They gained popularity through word-of-mouth on the Internet, Silver said. "In today's world on the Internet and Facebook, word-of-mouth is more popular than ever before," he said. The toys will make you smile, as should the low price and wide availability. 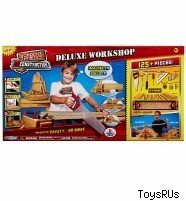 It looks like wood, but it's really durable foam that children 5 and up can saw and hammer into their own creations. The tool set includes kid wood, saw, hammer, screwdriver, hole borer, small detail saw and nails and screws. Refills of the foam wood are available in case your child runs out of material to make stuff with. This was TimetoPlayMag's list of top games, such as board games. For ages 8 and older, it's a fast-paced take on the classic game that can also be found in a cheaper version in the form of a set of playing cards. The electronic tiles require players to make as many words as they can in 75 seconds -- just enough time to create five-letter words without making you crazy. If you didn't notice, six of the 10 toys we listed require batteries, a charging stand or must be plugged in. We'll remind you now, although you still may be scrambling for them on Christmas Eve: Don't forget the batteries.